Chignecto-Central Regional Centre for Education’s Pre-Primary program is still open for new registrations. 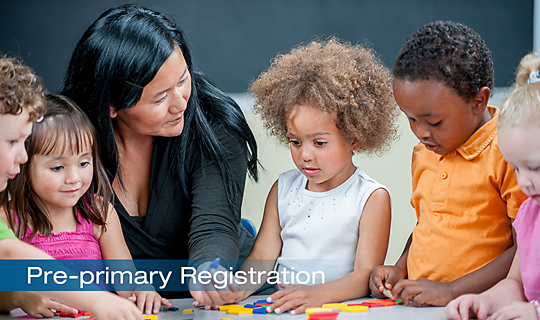 Parents/guardians will be requested to bring their child's birth certificate, provincial health card to Pre-Primary Registration orientation once dates and times are announced. The Pre-Primary program is voluntary and is open to all children who are at least four years old by December 31st, 2018 and live within school catchment. Children can only attend the Pre-Primary program for one year. Please Note: Children of African Nova Scotian descent within Pictou County are eligible to register for the New Glasgow Academy Pre-Primary program regardless of catchment.